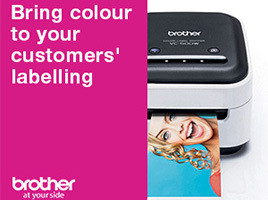 Printing your labels in vibrant colour will immediately ensure your labels stand-out and make an impact and thanks to the new Brother VC-500W, it’s now possible at an affordable price. 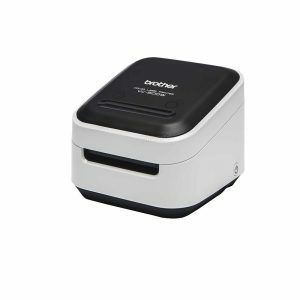 This compact label printer will deliver full colour labels on demand from a number of devices including your PC, smartphone or tablet device, perfect for flexible label printing! This also gives you the flexibility to design your labels from these devices thanks to the P-touch Editor label design software and Colour Label Editor, while the no ink requirements mean your label roll simply changes colour when printed – genius! Plus, create your labels in the lengths you want thanks to full colour cassette rolls. With five different widths and ZINK Zero Ink printing technology, you’ll be producing full length, colour labels without the use of ink or cartridges in no time at all!